Timing is the key problem in switching between the techniques of aid and free climbing. 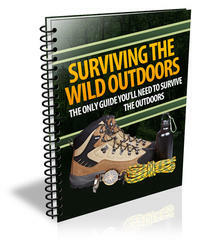 From free to aid: Free climbers must remember that the switch to aid requires some preparation. Begin the aid sequence before stretching yourself to the limit of your ability. This is easy if you know you will be changing to aid, but problems arise if you are not expecting to use aid but suddenly need it. Finding yourself in this bind, you can improvise etriers by interconnecting several slings and aid your way over the blank area. Such creativity is particularly important when climbing in a remote alpine environment. The climb's style may be damaged, but your body will be spared. From aid to free: To free-climb a few moves during an aid pitch, simply clip the etriers to the back of your harness, and then make the moves. It is best to continue climbing on aid until you can comfortably switch to free techniques. If the change is made too early, you may have trouble retrieving your etriers from the last aid placement. 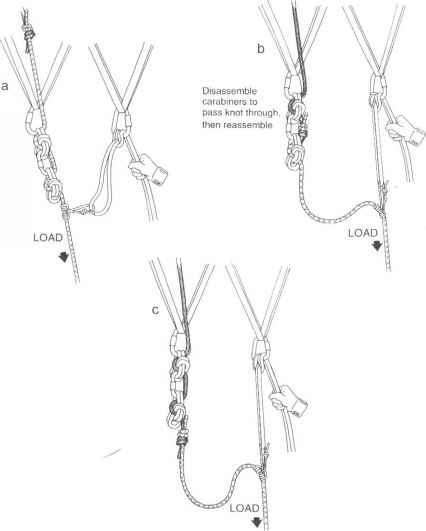 When beginning a longer section of free climbing, clip etriers, daisies, and so forth to your harness and be sure they will not hinder your movement. This may entail removing most of your aid implements and hanging them behind you.